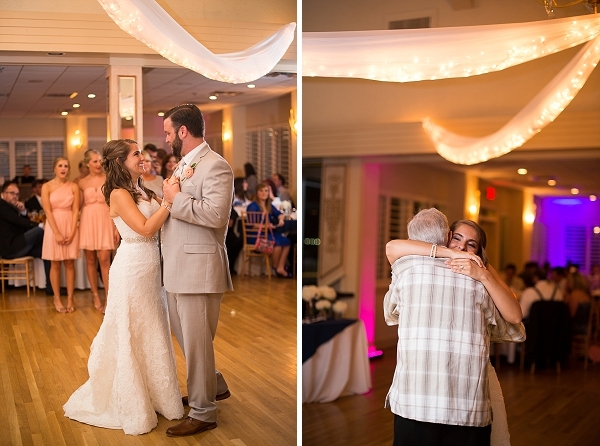 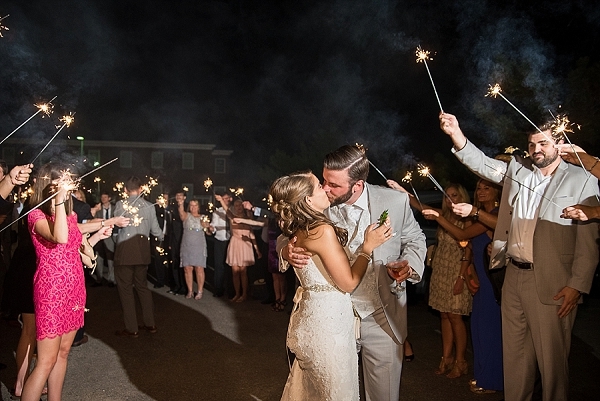 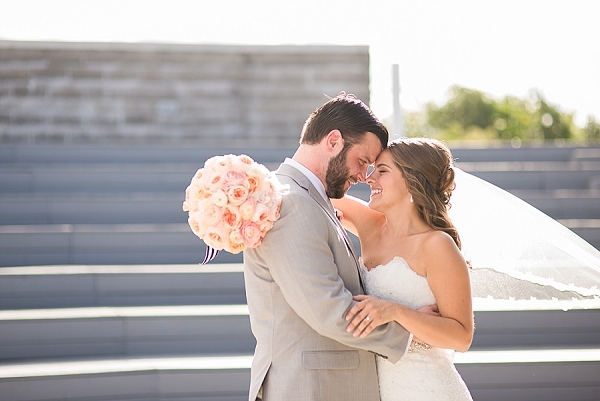 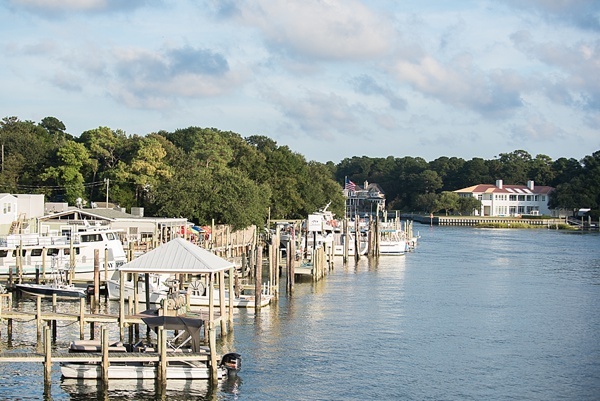 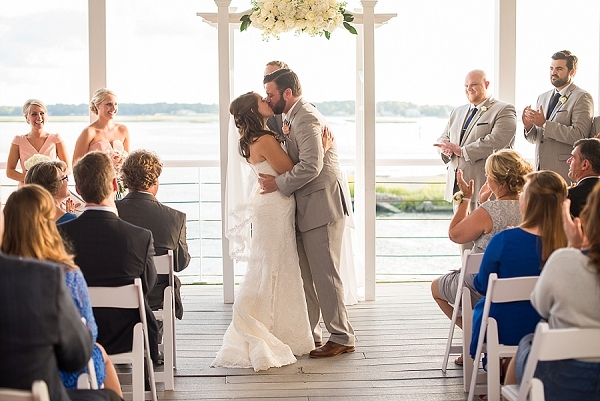 While Jennai and Sean live in Northern Virginia, they both knew they wanted the Lesner Inn in Virginia Beach for their destination wedding... especially with the gorgeous waterside views of Wolfsnare Creek as their backdrop. 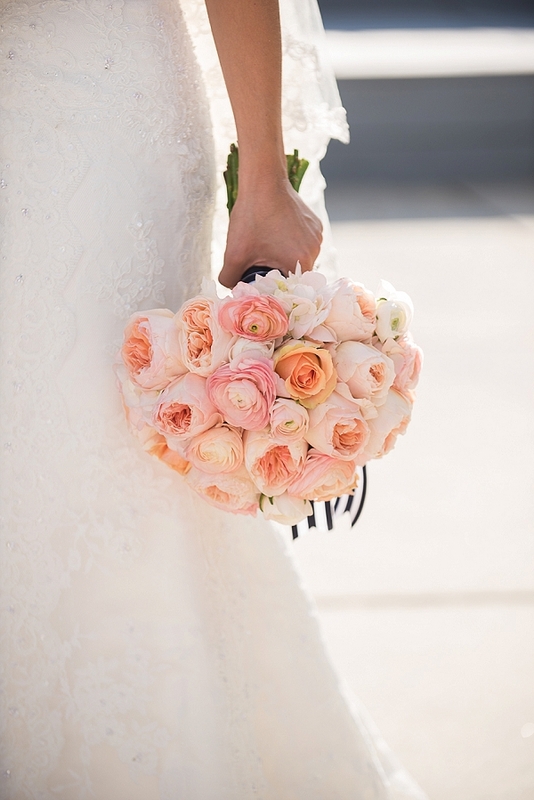 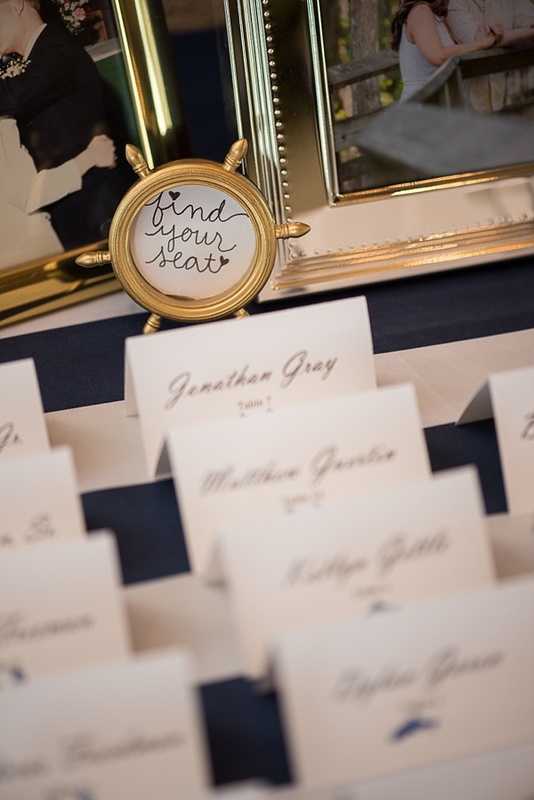 Coordinated by A Lively Affair and captured by Caitlin Gerres Photography, their nautical wedding day was highlighted with blush and navy accents throughout. 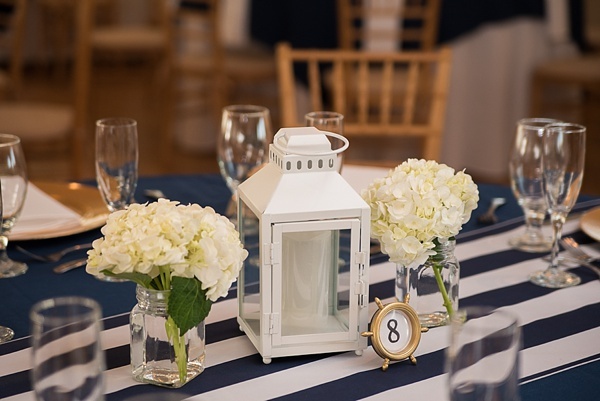 Classic navy blue and white striped ribbons and linens, golden ship wheels as table numbers, and white lanterns were all the perfect nautical touches. 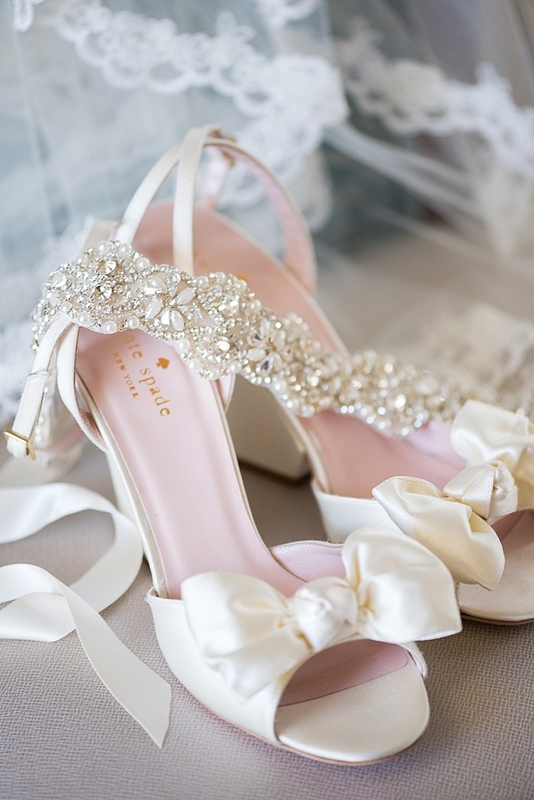 And oh yes, we love that Jennai's envy-inducing Kate Spade shoes with a bow completed the look! 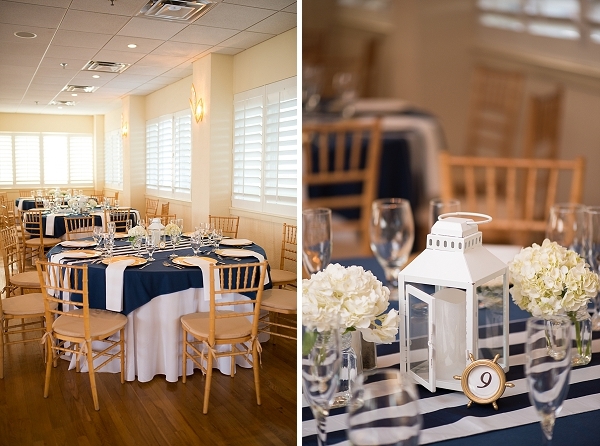 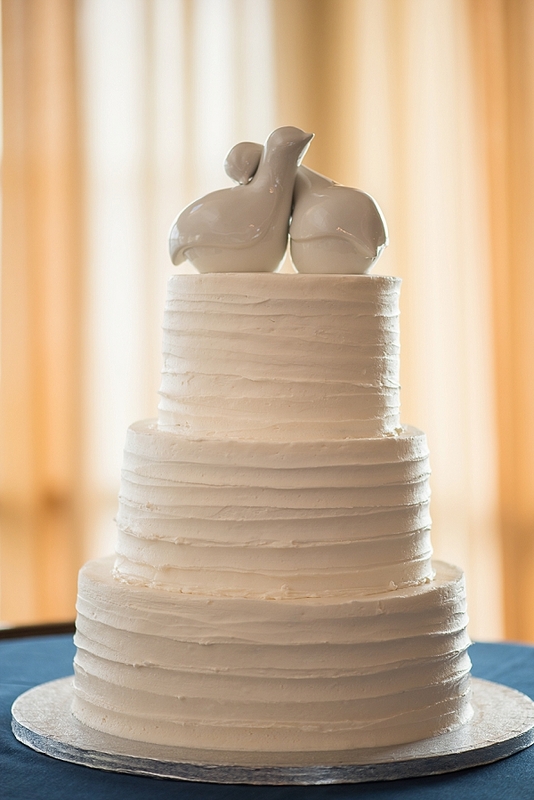 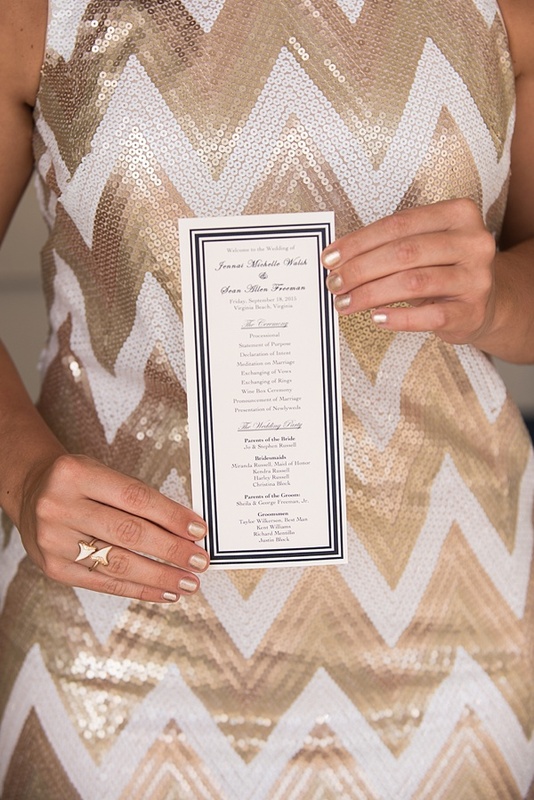 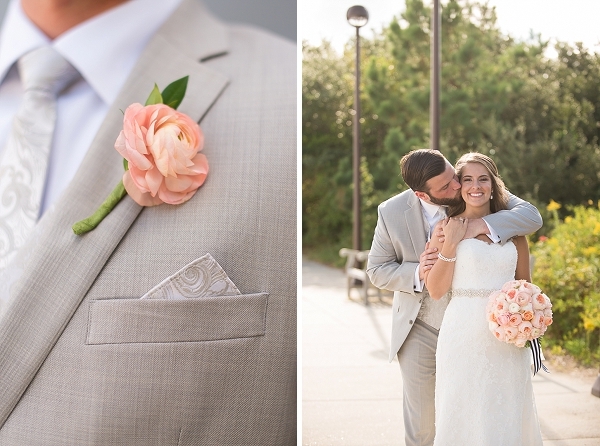 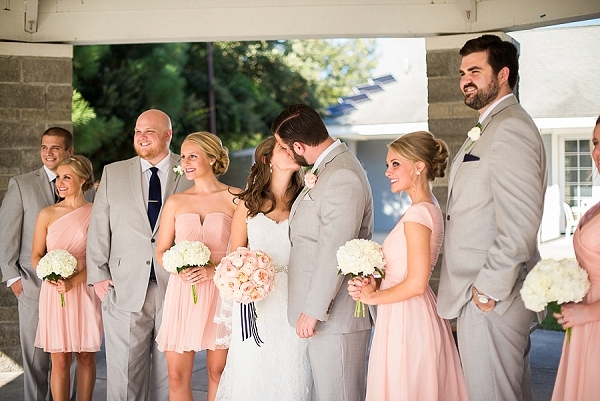 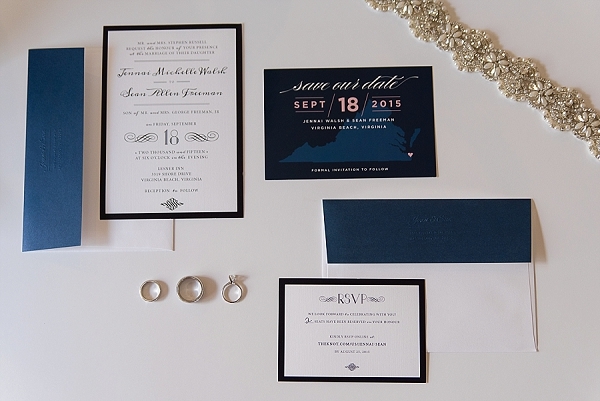 This wedding definitely has us setting sail to sunnier summertime celebrations.